Across the country, outdoor fire features continue to grow in popularity. They add a smooth level of ambiance, sophistication and warmth to any space. 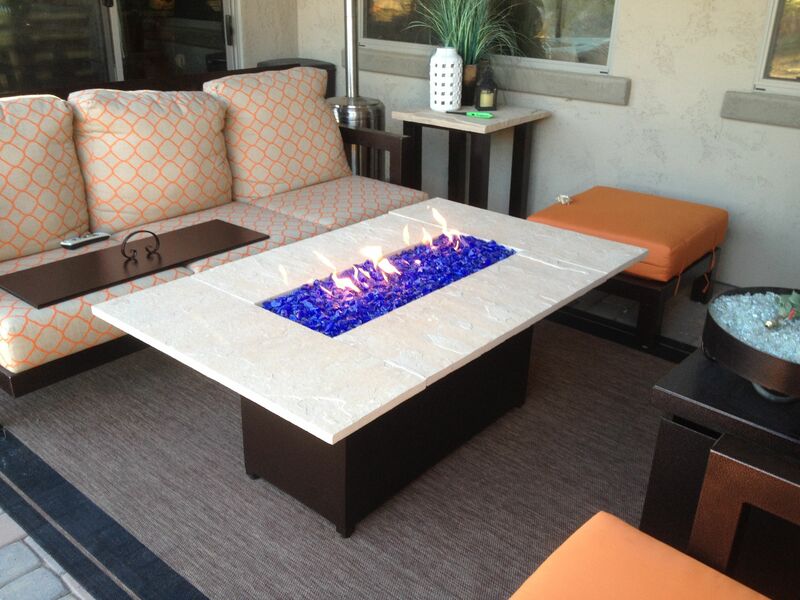 Experience the comfort of gorgeous outdoor fire, without the hassle of traditional fire pits, with stunning, clean-burning propane gas fire tables from Arizona Backyard Custom. Our custom propane fire pit tables are decadent centerpieces that become the highlight of your backyard, patio, deck or landscape. With quality craftsmanship and durability in mind, enjoy these unique and beautiful fire tables for years, with their robust structure and clean gas flames. 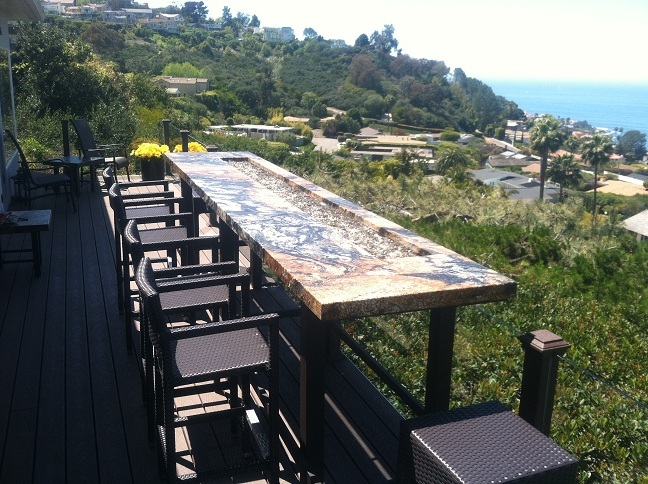 Custom made, we build each fire table with natural stone, and handmade bases to fit any outdoor space. Choose from a center filled with glass, stone or art, all durable, long-lasting and permanent fixtures on your table. Avoid the smoke, embers or ash and simply enjoy the comfortable confines of the outdoor gas fire pit without any mess, discomfort or cleanup. 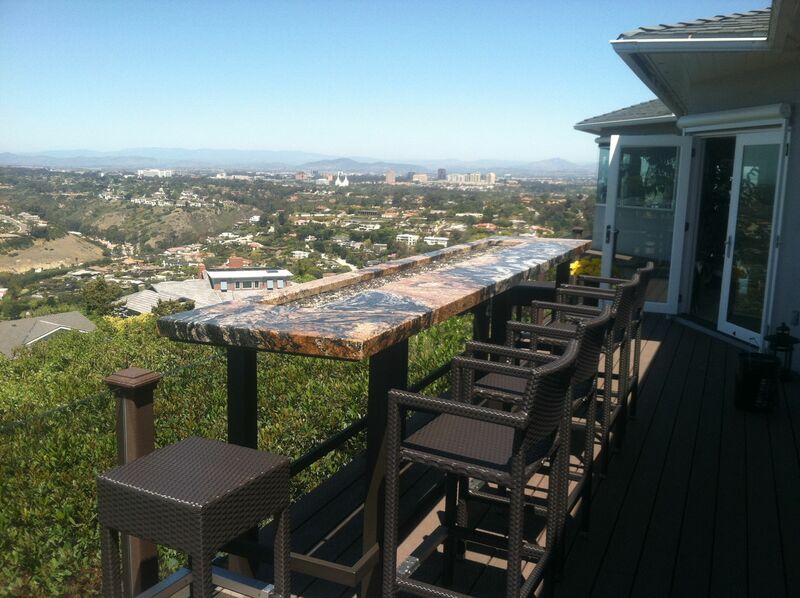 Unparalleled artisanship using excellent materials with hand crafted features combine for a one of a kind fire pit table placed anywhere on your property. 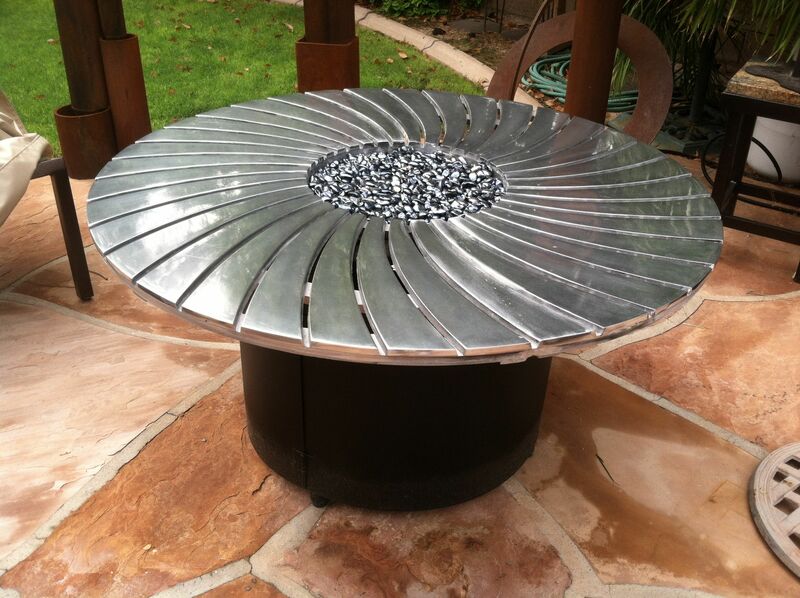 Browse our gallery for examples of our beautiful, custom fire pit tables to get an idea of the unique structures we can build for you. 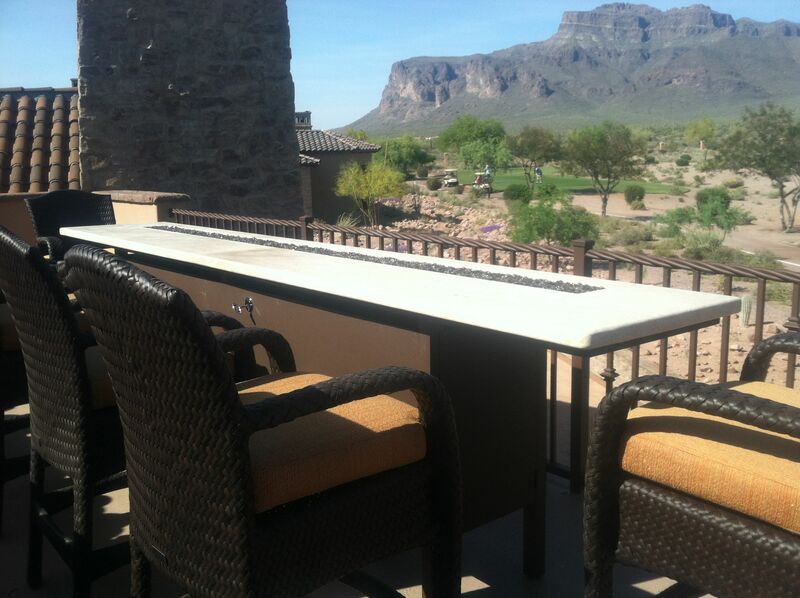 Arizona Backyard Custom is committed to bringing the highest-quality gas fire tables available on the market today. For more information on any of our products, please contact us and see what we can create for you!